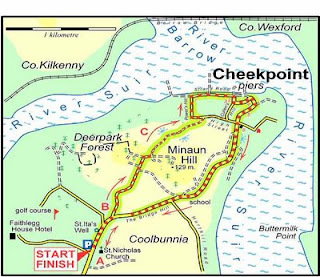 The IWT February event will take place on the 22nd February at Cheekpoint/Faithlegg. The meeting place is at Faithlegg National School at 2.30pm. The walk will be led by Ray McGrath and will be approximately 2 hours. It will take in the seashore, woods, and SAC. This is an easy walk and the event is family friendly. Please note that the above map is not the actual route but just an idea of the area.